Mozilla's Firefox continues to follow its rapid release cycle with its fourth major release since Firefox 4.0 debuted last March. Firefox 8.0 is slated for release tomorrow (Nov 8th), but as usual the final build of the browser has been made available on Mozilla's FTP days in advance. Key features and enhancements in Firefox 8 include Twitter search integration, improved add-on management and security, a new setting for reopening only one tab from a previous session, specific performance optimizations, and a much needed revision of tab handling when moving pages inside or outside the active window. 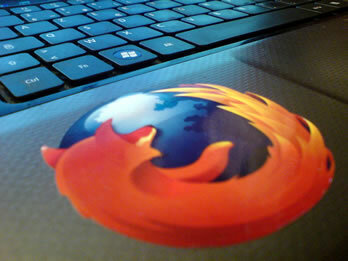 Firefox adopted a rapid release plan after Google Chrome's accelerated schedule proved successful in gaining momentum when it was a complete newcomer in the browser market. You might recall, that was only part of the equation as Chrome arrived as a straightforward solution that out of the box felt very speedy compared to Firefox and IE. Since then Firefox has made great strides on the performance department.